Tasting Note: Style: SAUVIN FRESH HOP IPA Hop Harvest is an exciting time of the year for brewers, where we are able to make exciting beers with whole cone hops picked fresh from the vine! 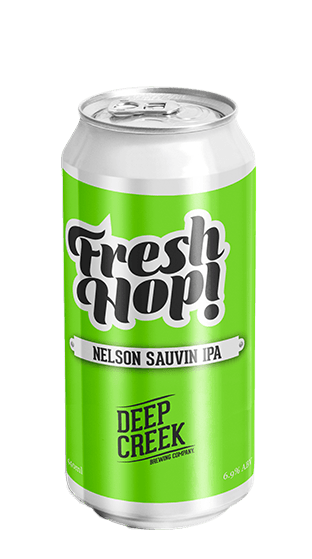 This year we chose to use 100% Nelson Sauvin fresh hops, with a touch of cascade hops for depth of flavour. The result is a beautifully fresh IPA with a resinous mouthfeel.